I was in a supermarket in Malang when I saw this, and decided to have it captured in my mobile. For those of you who are not familiar with Malang; Ampel Gading, Sumber Manjing, Tirtoyudo and Dampit are areas in Southern Malang where local coffee are grown. Attractive and funny way to present a globally local identity! Creative, Funny, but, still, it’s an Irony.. why they choose Amstirdam? It’s so close to Amsterdam.. 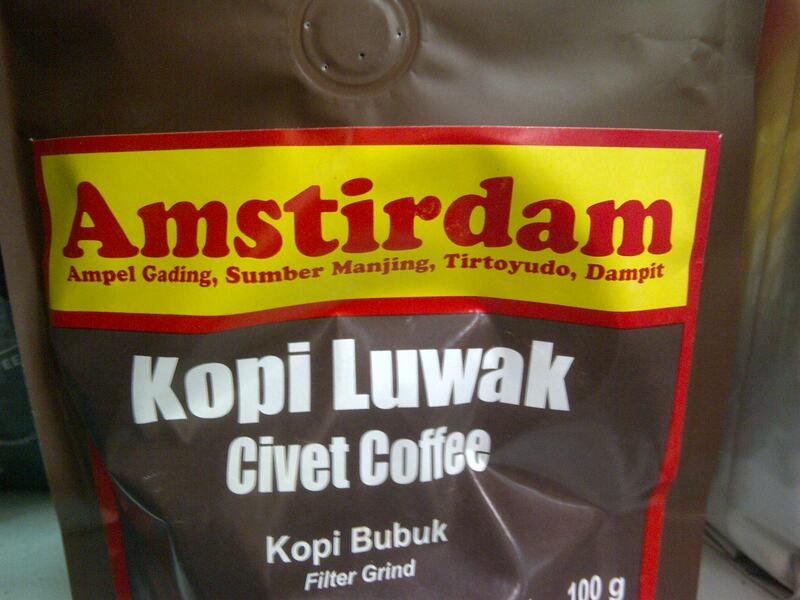 I think “Amstirdam” is abbreviation of Ampel Gading, Sumber Manjing, Tirtoyudo, and Dampit, and not related with Amsterdam City in Holland. Once again, creative, but… still irony…. irony but still catch your attention, isn’t? PreviousMerdeka itu soal hati nurani, bukan cuma kebebasan!